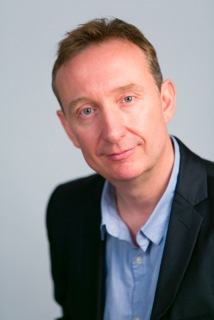 Since 1999 Ian has been practicing as an Independent Social Worker and Expert Witness. He is instructed typically by solicitors who specialise in mental health, mental capacity, negligence and human rights law. Ian has prepared in excess of 480 independent social work reports. Ian has extensive experience of preparing Social Circumstances Reports for Mental Health Review Tribunals and attendance at Mental Heath Review Tribunals as an Expert Witness in order to provide oral evidence. These reports consider the circumstances leading to, and possible alternatives to an individual's compulsory detention in psychiatric hospital under Part II and Part III of the Mental Health Act 1983, as amended by the Mental Health Act 2007. These reports cover both social and statutory matters. The reports are prepared to a standard to be presented to a court as evidence. Ian will assess clients who are subject to the Mental Capacity Act 2005 with respect to mental capacity and best interest and issues relating to a deprivation of liberty. Instructions are typically from solicitors who are acting as "Litigation Friend" on behalf of the Official Solicitor. The Independent Social Work reports will typically cover issues relating to residence, contact and treatment with respect to the vulnerable person in question. Ian’s evidence is used in the Court of Protection in order to assist the Court in identifying what is considered to be in an individual's best interest, once it has been determined that they lack mental capacity Ian will regularly be called to Court as an Expert Witness and will give oral evidence under cross-examination. Assessment and reports also cover other areas of social care such as community care provision, issues relating to Fair Access to Care Services, medical negligence claims and criminal proceedings. In addition to referrals being received from solicitor’s firms across the country Ian also receives referrals from Local Authorities, charities and advocate services. Clients with a forensic history in medium and high secure psychiatric settings. Clients with a learning disability. Clients with acquired brain injury. Clients with severe physical disability. Older clients, including clients with dementia. Clients within adult acute mental health psychiatric settings. Clients who need to access specialised mental health care in order to meet their identified needs. This work is carried out across the UK. Ian has now prepared in excess of 480 Independent Social Work reports and will give oral evidence, when so instructed, in a formal court setting. Ian is listed on the Sweet and Maxwell experts list. Specialist areas of work cited are: personality disorders / psychoses / violence / self-harm / suicide / criminal behaviour / addictions and compulsions / drug abuse / eating disorders / stress disorders / offender assessment / dangerousness / risk assessment / learning difficulties / Mental Health Act / psychiatric rehabilitation / psychological counselling / therapies / psychotherapy / families and mental illness / mental disability.